The Carnegie Museum of Natural History provided complimentary tickets to our family but as always, all thoughts and opinions are my own. 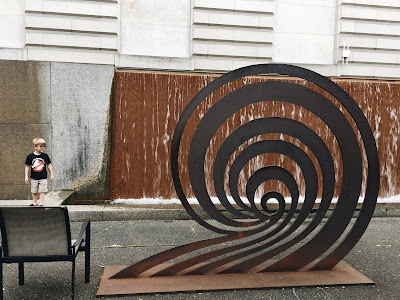 Welcome to my third post in my Travel Tuesday series - Pittsburgh edition. 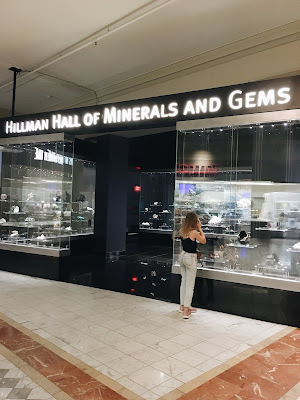 I'm sharing our trip to the Carnegie Museum of History with y'all today. You can read all about our Road Trip to Pittsburgh with Kids HERE and our trip to The Pittsburgh Children's Museum HERE . I've been wanting to take the kids to a History Museum for quite some time but was honestly a little nervous to because 3 kids in a museum kinda seemed like taking a bull through a china shop. 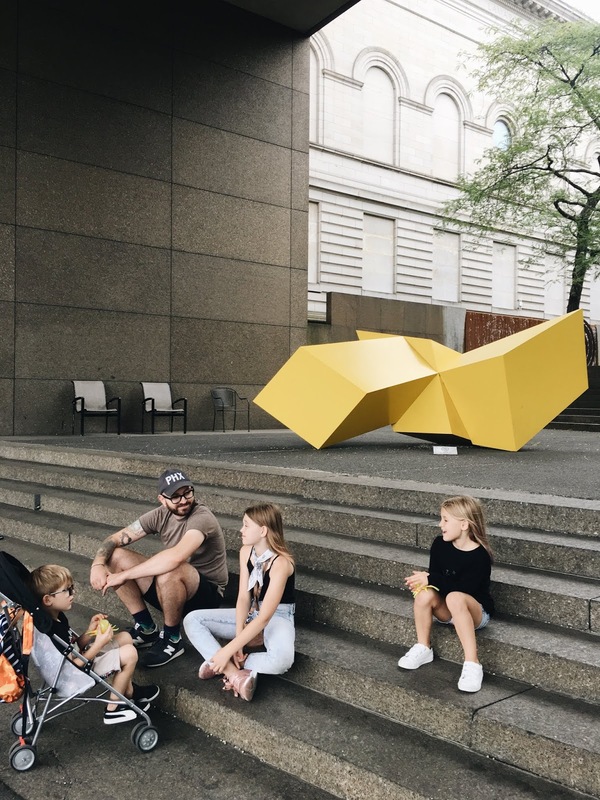 The kids are older now (9,7 & 5) and we thought now was the perfect time to introduce them to such a place. 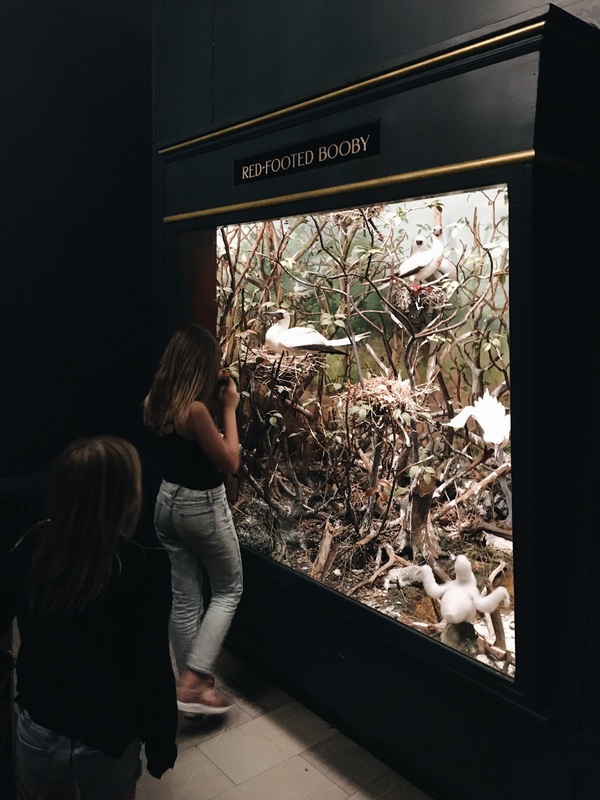 The Carnegie Museum of Art & Natural History was founded in 1896 by industrial tycoon Andrew Carnegie to help bring some culture to the city of Pittsburgh. 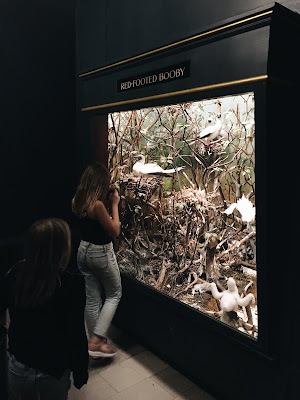 My kids were fascinated by the Dinosaurs in Their Time exhibit where 75% of the 230 objects on display are original fossils, and most of the exhibitions dinosaur skeletons are real, not replicas. 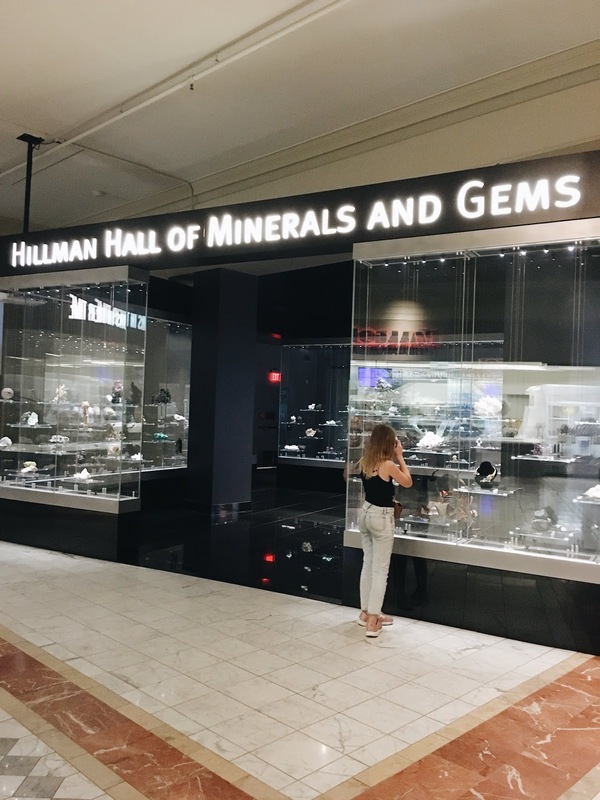 My oldest daughter is obsessed with gemstones so she was thrilled with the Hillman Hall of Minerals and Gems. 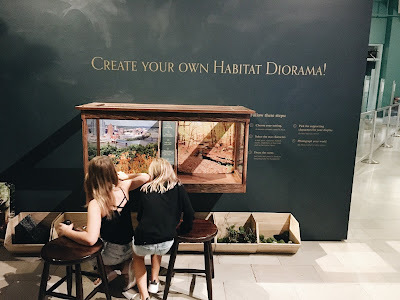 Another favourite was the Create Your Own Habitat Diorama. Our oldest had built one in school last year, so she was thrilled to show her sister how to make one. 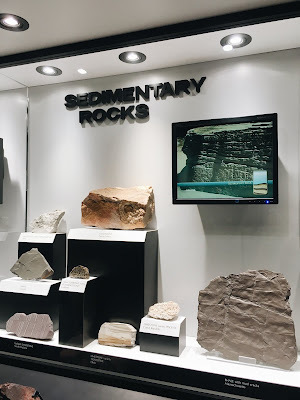 I didn't take photos of all the exhibits because I was far too busy taking it all in. 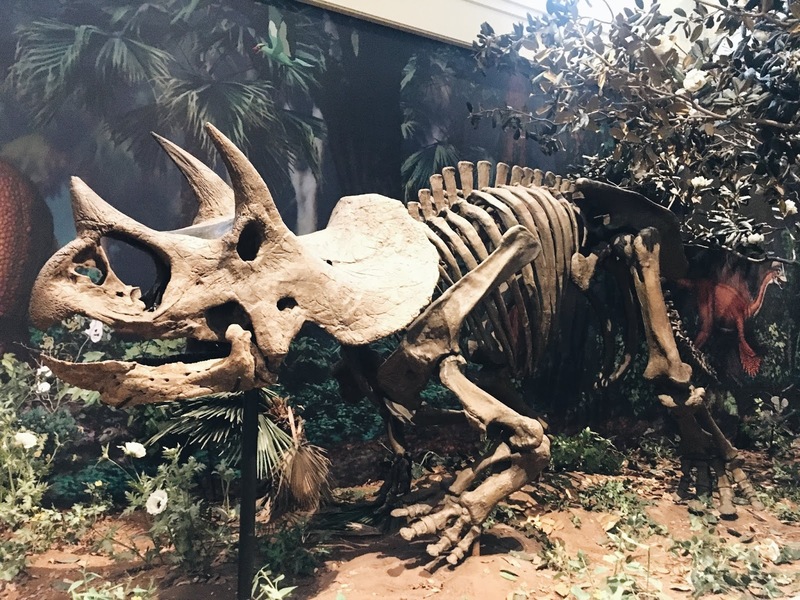 I highly recommend stopping by the Carnegie Museum of Natural History if you are in town.